Thermo Scientific Smart-Vue software can run one lab or an entire enterprise—whether across the street or across the globe. Our software offers continuous real-time, wireless monitoring of critical parameters, early warning alerts, and remote data logging using globally-recognized radio frequency transmissions. 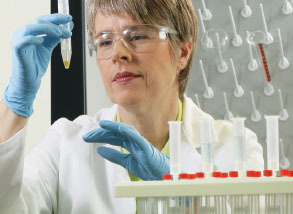 Thermo Scientific Smart-Vue wireless monitoring solutions provide 24/7 monitoring of and reporting on your laboratory equipment with immediate remote alarm notification and continuous data collection. Thermo Scientific Smart-Tracker makes temperature monitoring in the cold chain easy. All you need is a smart phone to wirelessly check stored temperature readings. There is no dedicated equipment, no docking stations, and no complex computer installations.